1. Consider buying additional batteries. Having an extra battery is extremely important when trying to get more out of your POC. An extra battery can be the difference between having to an event early to staying for the finale. This applies particularly to patients with much increased flow rates that don’t tend to get as much battery life. 2. Keep spare batteries fully charged and do not forget to rotate them. Patients should always have spare batteries that are fully charged because keeping an extra battery without a charge for extended periods of time can actually damage the battery. Keeping batteries fully charged and ready, allows you to switch batteries at any time without having to worry about damaging them or your POC. You should also rotate batteries if you have more than two and always switch to a fully charged battery. Reminder: If you aren't going to use your spare batteries, store them at a 50% charge to ensure you don't damage any battery cells. 3. Utilize the accessory bag that comes with the package (most units come with one but a few do not). The accessory bag that comes with most POCs varies in size and color based on the type of concentrator the patient has. The accessory bag is an excellent organizational tool that helps you arrange the unit accessories in one particular location without having trouble finding them or risk losing them. Accessory bags usually have a zipper or they Velcro shut to keep the contents safe. However if no accessory bag came with the concentrator, the custom carrying case will have zipper pockets to keep some accessories or personal belongings. 4. Utilize the DC Power Supply. All POCs come with a DC power supply that can be plugged into the cigarette lighter of a car. Small pulse flow units are totally functional on the DC power supply, which means they can operate on all flow rate settings, supply the patient with their required oxygen, and recharge the battery too. However, the constant flow units carry a few limitations when using the DC power supply. Generally, uninterrupted flow units will continue to work and charge on pulse flow settings 1-4 as well as continuous flow settings as much as 2 LPM. 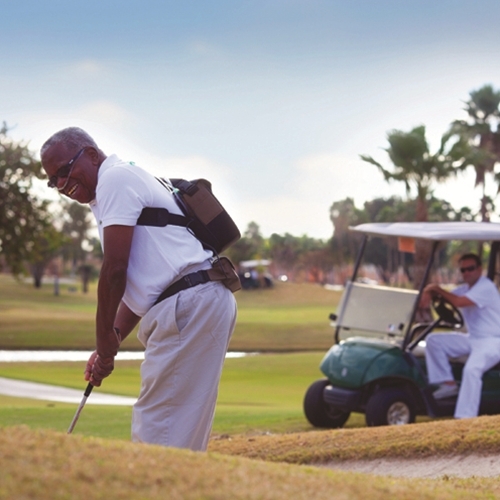 Many POCs have a variety of accessories that do not come with the main package, including custom backpack carrying cases, harness systems, traveling carts, pulse oximeters, and external battery chargers. • Backpacks and harness systems help you make the most of your POCs by offering a hands free method of moving the concentrator and distributing the weight of the unit uniformly. • A travel cart is an effective way to move your portable oxygen machine without the need to carry it. Traveling carts are a standard accessory for bigger portable units but can also be used for smaller units. • Pulse oximeter is an essential accessory for all oxygen patients that allow you to check your blood oxygen levels and pulse rate.